The purpose of this page is for runaway programs, transitional living programs, and maternity group home programs to share experiences and stories of their work with and on behalf of youth and families in Wisconsin. A Movement. A Reality. "RENT." Through my AmeriCorps position with the Runaway Outreach Program at the Boys and Girls Club of the Fox Valley I work as a co-facilitator with a weekly LGBTQ teen support group at Harmony Cafe in Appleton. Harmony is a community cafe run through Goodwill Industries, with another site in Green Bay. The cafe is truly a part of the community. Other than the fact that there are delicious food and beverage options available at the cafe there are a myriad of healthy program options every day. For instance, different individuals lead groups and programs that focus on such topics as meditation, grief, substance abuse, and LGBTQ teens/adults. In addition, local bands play their music on various nights. Yesterday I was able to be a part of a one of the LGBTQ-focused programs. A movement. A reality. 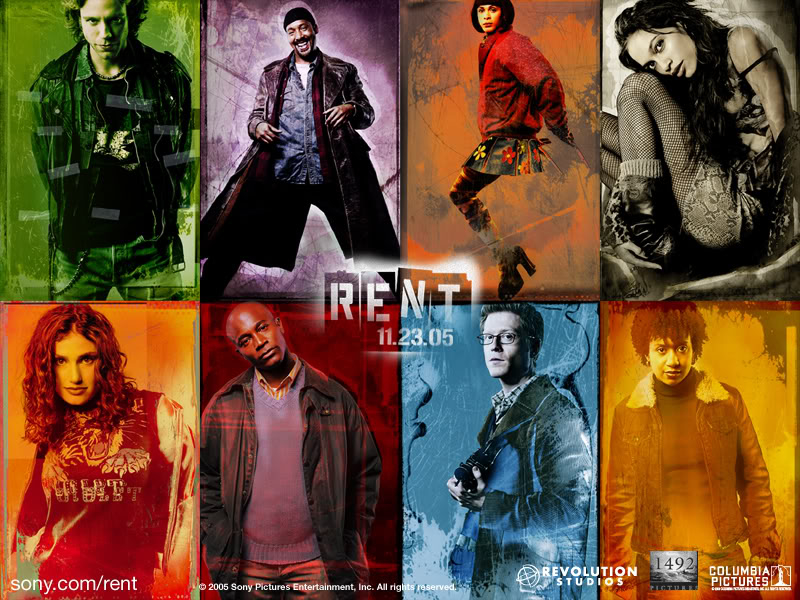 "RENT." Two cast members from the Broadway production of "RENT", now playing at the Performing Arts Center (PAC) in Appleton, came to Harmony Cafe in Appleton to speak about the topics in the production during a "Conversation Cafe" event. Harmony Cafe and PAC staff organized this event to bring discussion of the production into an intentional program space. Throughout the event I helped with tasks needed for the venue, from signing in people at the door to group discussion facilitation. It was an honor to do so with a team of committed people who made the idea of this discussion a reality. In addition, it was powerful to listen to and then engage with the cast members about everything from identity to AIDS to community, particularly because I saw the show at the PAC a few nights later. Young and old alike were present at the discussion. My 17-year-old sister and five of her friends came to this event, which reiterated the importance of youth engagement in such discussions about society. With today's youth so often being influenced by the media around them, "RENT" has no doubt reached thousands of youth, but in a positive light. I believe it is important for youth to build a lifestyle of knowledge, acceptance, and discussion on such issues as those in "RENT" at an early age; after all, they will eventually be the leaders of this country. WAHRS employees face the issues in "RENT" on a regular basis and in different ways, which is why the work we do is relevant and important to youth. As members of the Anti-Poverty Coalition for Douglas County, we also helped coordinate the "Night Without a Home" homeless event in November. We collected clothing, supplies, and monetary donations that were shared between the local homeless/crisis shelters and several other agencies that serve the homeless population in Superior (such as the Salvation Army, Northwestern WI Community Services Agency, etc). In order to organize the event, we met with the coalition once a month for 1-2 hours to work out the planning details. I also ran a clothing drive (mentioned above) at a local preschool in the weeks leading up to the event. When the drive was over, we had collected almost $2,000 worth of winter clothing items for the fundraiser. On the weekend of the "Night Without a Home," Superior was hit with record strength wind and freezing rain. Many of the volunteers who were signed up to take shifts collecting donations canceled because of the weather and 3 of the 4 signs we had ordered were destroyed immediately. But despite the complications we faced, everyone pulled together to make it a success. Volunteers took double shifts, which meant standing in the rain and wind for 4 hours collecting money and helping load/unload the donation trailers. This went on from noon on Saturday all through the night until the fundraiser ended at noon on Sunday. Although no one was very pleased about being cold and wet during the sleepout, no one complained. It was hard to feel sorry for yourself when you knew that we only had to survive the elements for one night but these are circumstances that the homeless live with every day. The most amazing thing about it was when the local homeless came out to our fundraiser during the night. It was close to midnight and we were all huddled around the fire when one man said he was going to leave to go get something for us. He returned a couple of hours later with a blanket to share and cardboard boxes to sit on and to protect us from the wind. Another man who came even later on in the night borrowed one of the volunteers' phones to call 3 of his friends who were also homeless and staying at friends' houses. He told them about what we were doing and told them to come down and bring anything they had that they could donate. It was incredible to see people who had nothing but were compelled to share anything they had to help others just like themselves. Overall, the event was a huge success. Several homeless individuals who stopped in for a hot meal and a seat by the fire also ended up getting connected to community services. The event brought in between $3,000-4,000 in cash donations and 2 truckloads of clothing, supplies, and food. People were showing up all through the night because they said they had seen us on the news standing outside in the rain collecting donations. Some came with checks, some with bags of clothes or canned food, one man even brought a tray of coffees for the volunteers on his way to work early Sunday morning. Although we probably would've collected more donations if the weather had been better, I think it raised more awareness because people saw the dedication and passion that the volunteers had for the cause. What are “throwaway youth” anyway? Where do they do their homework? My name is Pam Reinhardt and I am a first year full-time AmeriCorps member. I am an outreach worker for the Eau Claire and Wausau WAHRS: LSS-RAYS programs (Wisconsin Association for Homeless and Runaway Services: Lutheran Social Services Runaway and Youth Services.) My reflection piece is a shout out to the people who have crossed my path on my journey to promote awareness of the runaway and homeless youth in our communities and available resources. Many people have listened to me for a moment, asked questions, became aware of an issue few people even want to think about and are now helping to promote homeless awareness as well as giving out resources to help youth and families in crisis. This opportunity has opened not only my eyes, but my ears as well, as I have learned how to listen. Sometimes just listen. In the future I plan on furthering my education and continuing to work with youth. During my time at the event, I spoke with many adults about these issues and described services offered by Briarpatch. Entertainment was provided by two bands: The Sharrows and Boo Bradley. Food was made available throughout the evening. Warm clothing was provided to about ten adults and one female child who came with her mother. About 50 people attended the event throughout the evening. I tried to speak to all who came to tell them the purpose of the event. Eight people slept overnight in tents to feel what it is like to be homeless for one night, including one homeless person. In the morning, we supplied breakfast and coffee to the homeless man. There was an additional homeless man who came by in the morning and we gave him warm clothing. We donated leftover food items to the homeless camp Madison, WI. The community impact of the project was to educate people about the issues related to homelessness. I've received positive feedback from all involved in the project. I contacted legislators and sent out press releases to various media sources to ensure that the message got out. The project has also helped strengthen ties between Briarpatch, AmeriCorps and other service providers in the area. There were about 20 volunteers total who helped make RAH! happen. Volunteers helped with making and distributing flyers, calling food providers, contacting schools and churches, set-up, sleeping overnight, and take-down. Among the 20 volunteers, there was approximately 75 volunteer hours contributed. Overall, RAH! made a difference in getting the word out about homelessness and was a great experience for everyone involved. I know that I have been much more involved in keeping up on news about homelessness in the Madison community and intend to continue to be an advocate for the homeless community and for homeless and runaway teens. What would it mean to you to be homeless? To a youth, it means holding your head high, preserving your pride, and maintaining your self-respect when life brings you down. No one wants to be seen as homeless. Treating those who are homeless with dignity and respect is how one can best help them. Seeing them as people who want and need the same things as yourself allows you to connect with them on a personal level. And they will open up to you... in time. The spirit of the youth is what draws me to serve and keeps me returning. Funny, witty, intelligent, sensitive, determined, and resilient are just some of the words that describe them. And while I have a defined job to do, I am also here to learn. I have learned so much already from my coworkers. But it's what I have learned from the youth that I really treasure - to pursue your dreams, remain hopeful, be your true self, and to never lose your sense of humor, even in the most trying of times. Asking for help is a hard thing for anyone to do. But for vulnerable youth, it's even harder. Imagine being "kicked out" of your house by a parent. Feeling unwanted, unwelcome... the toll that takes on a youth is immense. Pathfinders Drop-In Center is a safe, welcoming, and nurturing place for them. The staff and members of the drop-in center become a surrogate family for many of these youth. They each receive case management which entails helping them find stable housing, a job, and helping them to obtain their high school diploma or GED, or to get into college. These are all things that would be difficult for the youth to do on their own. With so many variables and inconsistencies in their lives, Pathfinders becomes a constant. Stabilizing one's life is the first step towards leading a successful, fulfilling life - which is really all these youth want. But then again, isn't that all any of us want? This is my third year serving through WAHRS at LSS-RAYS. It has been a blessing, a challenge, and one of the best choices I have ever made. I always knew I wanted to become an AmeriCorps member, but I did not realize how much of an impact it would have on me and the community in which I serve. I serve at the Basic Center program at LSS-RAYS. My title is Outreach worker and I offer support for those 10-17, as well as to their families. The support comes in the form of one-on-one mediations, family mediations, groups, activities, crisis line, and being able to offer food and hygiene products to youth. I also get to do presentations that deal with topics teens face every day. The goals are preventative in nature, but of course, we also work with those in crisis and after situations where running has become a solution in the youth's mind. Like everything there seems to be cycles. There will be weeks that are harder than others. And, in those times it is hard to see the good that is coming from the service being provided. Sometimes though, it is the small things. I have had parents thank me for the 2nd chance given to their child. A recent follow-up call with a parent stated that the youth that I had met for one-on-one mediations had done a completely 180 in attitude at home and communication skills. She even became a member of her school mentorship program! I have been hugged and told about fears. I have been asked by a youth to sit in a court room as she had to refile a restraining order. I have been hugged and greeted with awesome phrases like "because you are the best!" and "oh yay it's Thursday!" by kids that I co-facilitate a recess mentorship program for. A few weeks ago I saw a family together at a store that months before were calling the crisis line repeatedly and refusing to live in the same house. I do not think by any means I am the solver in these problems. I think I offer an ear and support during times that individuals may need it. I can provide information, food and hygiene, and education on different issues. And, all of those things are wonderful. No one can ever have too many resources! But, I think the part of this service I find most rewarding is offering the knowledge that someone will be there for support. I may not be able to walk the path you are walking, in fact I shouldn't it is not mine to walk, and the promotion of self-confidence and self-sustainability is such a powerful and important goal. But, I can listen. And, if I am not the right person to support someone I have an amazing community of resources that I can help direct people in ways that allow them the ability to self-sustainably meet their needs. Lauren is a 3rd year AmeriCorps member. She will be graduating from Lakeland College next Spring. She is the mommy of the coolest little guy and girlfriend of a wonderful boyfriend and dad!